When it comes to taming the wild world of smart home devices, few attempts have been more successful than the Samsung SmartThings system. With broad support for many kinds of smart home devices, the SmartThings Hub connects all your stuff together, mostly in a seamless and in a user-friendly way. But, getting it all set up for smart home bliss can be a daunting task — even for a seasoned computer pro. So, we’re here to guide you through every step of the process. We’ll touch on some of the limitations and pitfalls to bear in mind as you set everything up. I’d suggest giving the whole guide a once-over first just to get a broad idea of things, then skip back and forward to specific sections as the need arises. 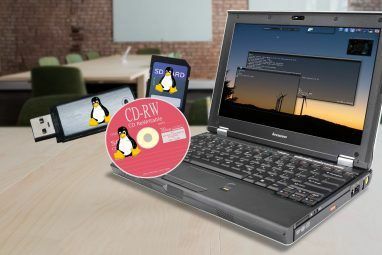 We use a version 2 starter kit in this article, but the instructions are still relevant if you’ve only bought the hub. Of course, you’ll also need the smart devices of your choosing to make use of the hub. If you have a version 1 hub, most of the guide will still be applicable, but there may be more limitations. For example, the version 1 hub cannot do any local processing, and must have an active internet connection at all times. In order to use your SmartThings System, you need an active internet connection. It’s a cloud-based service for the most part, so if your internet goes down, your smart home will mostly stop working. However, I say “mostly” because some automation rules can run without internet. Smart Home Monitor and Smart Lights are the only Smart Apps that are able to run locally (don’t worry if you don’t understand what these are yet, we’ll explain Smart Apps later). If your automation is based on those, it will continue to work even if you lose internet. Before we jump in, it’s worth briefly clarifying the three smart home protocols that SmartThings works with to give you a broader picture of how the device works, and what products you can use it with. Wi-Fi you’re already familiar with. It’s a standard home networking protocol, and you may even have some Wi-Fi based smart devices already. 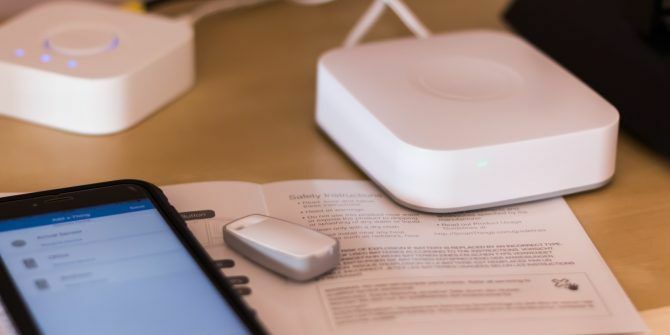 These may work with SmartThings, though the SmartThings Hub itself does not have a Wi-Fi radio – as a networked device, everything will be connected through your existing router. Zigbee is a distinct wireless protocol that the SmartThings branded devices run on, operating on the 2.4GHz spectrum (the same as some Wi-Fi networks). Philips Hue also uses Zigbee, but it’s a more customized version of the protocol. For that reason, Hue bulbs can only be controlled by SmartThings via the special Hue Bridge, even though the underlying networking protocol is similar. Other standard Zigbee-based smart home devices may work directly with your SmartThings Hub, but check compatibility first. Z-Wave is quite similar to Zigbee, but under normal circumstances, you wouldn’t be able to use a Z-Wave sensor on a Zigbee network. Thankfully, your SmartThings Hub also has a Z-Wave radio, and is compatible with a vast array of existing Z-Wave devices. Zigbee, Z-Wave and Wi-Fi devices can therefore exist under the same roof, and with the SmartThings Hub acting as a mediator, they can all communicate with each other. Technically, there’s also a Bluetooth LE chip inside the hub, but it’s not currently enabled and you can’t connect Bluetooth devices. If you bought a starter kit, the package is divided into two sections. The left half contains the hub, while the right contains various sensors. Start by removing the hub. Underneath you’ll find a box containing the manuals and Welcome Code, 4 x AA batteries, a power cable, and an Ethernet (network) cable. The Welcome Code is on the back of the large white box with the manuals in. Keep it safe, as you’ll need it in a moment to register your device. The battery backup is optional, but there’s no harm in fitting them anyway straight away. Turn over the hub – the underside is grey rubber – and slide it in the direction of the arrow indicator. Fit the batteries, taking care to ensure they match the orientation shown in the battery compartment. Unless you have Ethernet cabling throughout your home, the Hub placement will likely be near to your router. Place it near to, but not exactly on top of your router. Try to keep it it in the open, and not enclosed by a cage or any kind, or metal plating. The Hub uses radio wave frequencies to communicate with its sensors, and you don’t want to interrupt the signal. Plug in the included network cable to a spare port on your router. If you don’t have a spare port, you’ll need to purchase an Ethernet switch to expand your network. Check out our Home Networking Guide Everything You Need to Know About Home Networking Everything You Need to Know About Home Networking Setting up a home network is not as hard as you think it is. Read More for more information if you’re not sure how to do this. Briefly: a switch plugs into a single Ethernet port, and expands it into 4 or 8 additional ports, depending on the size you purchase. Then you can plug in the power. There should be nothing in the USB ports. Proceed to your mobile device and download the SmartThings app to continue set up. To use SmartThings, you’ll need a Samsung account. Go ahead and set one up if you don’t already have one, or log in to your existing account. To set up your hub, type in the Welcome Code provided on the back of your box containing the instruction manuals (it’s not on a separate card inside, it’s literally on the back of that flat box). If you can’t find it, you’ll need to contact Samsung support with your serial number to get a new one. Then, enable location services when prompted, and let your hub know where your Home is. This is optional, but you’ll miss on many exciting automation opportunities if you don’t enable it, such as turning on lights when you come home in the dark. Your phone will act as a “presence sensor” to tell the hub when you arrive home. After a few minutes, your SmartThings hub initial setup will be complete. Now let’s get to the fun stuff. Important: The USB ports can technically be used for low power USB devices, but they don’t currently do anything other than provide power, and can’t be controlled in any way. You can’t add external storage, or a network printer, or a USB wireless dongle. They’re a bit pointless really, and given how bad it would be for your smart home if you accidently blew them up by drawing too much USB power, we’d suggest just leaving them alone. This isn’t a generic section title: Samsung refers to smart devices – whether those are sensors, sockets, bulbs or whatever – as Things. If you bought the complete starter kit, it already comes with a number of Things to start you off, but we’ll also address other non-Samsung smart sensors later. Click on Add a Thing now. If you want to perform this step at a later date, open up the app, and head to My Home tab (from the bottom of the screen), then on Things (from the top of the screen), and scroll down the list until you see Add a Thing. The first time you open the Add a Thing screen, you may find other smart home devices already listed. That’s fine! That means they’ll be all ready for you with no additional setup required. In my case, I saw my two Sonos speakers Sonos PLAY:1 Review and Giveaway Sonos PLAY:1 Review and Giveaway Read More ready and waiting for me. Tip: When initially adding a Thing, keep the Thing within 5m or 15ft of the Hub. You can move it to it’s final position later, subject to maximum range, but always keep it close for the initial setup. If you purchased the full SmartThings starter kit, you’ll find 4 sensors in the box, to get your smart home started straight away. Here’s a quick run down of their purpose. A setup quirk you might encounter: I found some of the official SmartThings sensors set themselves up, without having to go through the Add a Thing screen. If you’ve tried to add one and it’s refused to find any “new” Things, go back to the main list of devices, and you may find one already there that you don’t recognize, with a generic name like “Motion Sensor”. Click through to edit the name. This small fob can be attached to your keys and tells the Hub when you’re in relatively close proximity to it. Initial pairing can be performed by simply pulling out the battery tab. If this doesn’t work, open up the sensor by pulling up from the small indentation and pushing the sides outwards gently. You’ll find a tiny button on the bottom right of the circuit board. Hold that down for 6 seconds to reset it. Note: the phone you set up the SmartThings app on will also act as a presence sensor and will perform the exact same function as the keyfob, so you may wish to give this to another member of the family (or a pet, perhaps?) who doesn’t have a mobile device. Plug the socket into a power outlet close to the Hub, and it should be automatically detected when you access the Add a Thing screen. The plug socket offers you an easy way to turn non-smart devices on and off, and can also measure current power usage. The multi sensor consists of two parts, and is designed to fit on a door or window. Fit one piece to the frame, and one to door, making you sure you align them on the correct side (a line runs parallel to the edges that go together). The multi sensor is essentially a burglar alarm: it will trigger when the door or window is opened, or there is a strong vibration. There’s also a temperature sensor inside, which you could use to automate your thermostat or other climate control systems. The multi sensor can also be used for other purposes: Samsung suggests you make a “mood cube”, which involves turning the multi sensor around to change the color of your lights. While this sounds exciting, in reality, it’s fun for all of a few seconds. Ignore these kinds of gimmicks, and concentrate on making your life simpler by automating tasks and keeping your family safe. The motion sensor triggers when motion is detected in a 120 degree angle up to 15 feet; it also contains a temperature sensor. You could use it for something mundane like turning on the lights when you enter a room, or to trigger a notification when someone enters a forbidden area. If you’re looking for ideas, we’ve written about more clever ways a motion detector can improve your life 10 Clever Ways Motion Detectors Can Improve Your Life 10 Clever Ways Motion Detectors Can Improve Your Life The motion sensor is one of the most important parts into making your home smart. Here's a brief glance at various ways in which motion detectors will make your life far easier. Read More . A range of mounting options is provided for both the sensors. Use the double-sided 3M if you don’t want to screw the backplate onto your wall, or haven’t quite decided where to keep it yet. One of the neat things about SmartThings is that the hub includes a Z-Wave controller, making it somewhat compatible with hundreds of existing smart home products that have been on the market for years. This is something seriously lacking from the competition, which usually tie you to a specific protocol. Z-Wave devices use what’s called Inclusion Mode, and unfortunately each device will have it’s own way of being placed into that mode. If a Z-Wave device is already connected to a controller, that’ll also need to be placed into Exclusion Mode to remove the sensor, before it can be added to the new controller. Most basic Z-Wave devices will be compatible with SmartThings. For instance, I picked up a superb Hauppage MySmarthome Starter Kit for around $40 in a sale. It came with two smart sockets, and a multi sensor! I don’t need their Hub, and the other sensors were easy to add. I just needed to press the button on the front of the sockets 3 times to place them into inclusion mode, then the app detected them. The motion sensor required a custom device handler. Hue Bulbs will still need their own Hue Bridge (included in all Hue starter kits), and cannot be connected directly to the SmartThings Hub. When a Hue bridge is detected, the Add a Thing screen will prompt you to press the button on the front of the Hue bridge device. This is all that’s needed to command your Hue bulbs from within SmartThings – the list will automatically be populated with all your bulbs. The Hue Bridge itself will also be added as a Thing, but this serves no purpose and you can safely ignore it. It may seem a little overwhelming at first, but soon your smart home will soon be brimming with devices of all types. In the image below, you can see a small selection of the devices currently controlled and feeding into my SmartThings system, including a mix of ZWave, Zigbee, Wi-Fi, and virtual devices (more on those later). Being able to use voice commands as triggers for your automations is incredibly helpful as you go about your day. Thankfully, SmartThings currently supports voice control through Amazon Alexa and Google Assistant, but Apple HomeKit (and Siri) is not supported at this time. Samsung SmartThings is fully compatible with Alexa, so adding voice control is as simple as searching Alexa’s skill store for SmartThings, and hitting enable. From there, you can navigate to the Smart Home screen in the Alexa app, then hit Discover. By default, all your devices will be exported and accessible to Alexa. If you want individual control over which can be voice controlled, you can tweak the device list from the Automation screen in the SmartThings app, then tapping the Amazon Alexa icon. Note: if you’ve already added some smart home devices to Alexa, you may find they’re now duplicated, because SmartThings has also exported them. You might be tempted to tap the Forget button to remove those from Alexa, but don’t – they’ll just come back next time you need to discover devices. Instead, head over to the SmartThings app, and tap on the Amazon Alexa icon from the Automations tab. From there, you can disable export of all Things by default, and choose which devices to specifically export. If you’re having problems discovering devices, check out the official SmartThings Alexa skill guide. You can use Google Assistant through a Google Home speaker, or your mobile device (if you have enabled the Google Assistant). Open the Google Home app on your phone, then tap Home Control>Devices. Tap the plus icon on the bottom right and then press SmartThings/Samsung Connect. You will need to log in to your SmartThings account, and then tap Authorize. Unfortunately, some of the automations you set up using your SmartThings app may not be recognized by Google Home Control. In these cases, you will need to set up Rooms for a second time using your Google Home app. For more information and suggestions for specific voice controls, check out the official SmartThings Google Assistant Guide. Being able to control things remotely is admittedly lots of fun, but the real power of a smart home comes in the form of automation. Figuring out precisely what you want to automate can actually be the hardest part, so head over to the SmartThings Uses site and answer a couple of questions – it’ll then show you some helpful suggestions for automation scenarios that others have setup. I’m often leaving lights on, even smart ones. A broad “turn everything off at midnight” is great for me. My downstairs corridor lies in darkness most of the day, since it sits underground against the hillside at the back of the house, and there’s no natural light anywhere. A motion sensor and smart light switch is very useful there – even better if it has a dimmer so the brightness can be drastically reduced at night. We have issues with humidity. While my dehumidifier is awkward with a soft switch that can’t be automated, a simple notification to my phone or smart speaker telling that certain rooms need to be dehumidified is very useful, and saves me checking on humidity levels every hour. I have 6 lights in my office that are used when recording videos. Rather than turning them on individually, a single button to turn them all on would be great. There are two main ways to automate things in SmartThings. The first, and simplest, is to create Routines. A routine is a single command that activates a group of switches or lights, telling them to turn on or off. For example: your wake-up routine may turn on your bedroom lights and your connected speaker. Routines can also change the current Mode. There are three standard modes, though you can add a new Mode using the online developer portal. Routines can also be triggered by an automatic event (such as at sunrise, or when the motion sensor detects movement), and the automation can told to not run if the location is currently in a specific mode. For example, you could create a routine that switches the mode to Home and turns the outdoor light on automatically when your presence keyfob is detected. You could tell it to not trigger if the Mode is already set to Home (because maybe you went out to the garden to pick some salad, and you don’t want the routine to trigger again when you walk back to the house). The second way of automating things is through SmartApps. Rather than giving you an entire programming language and letting you have at it, Samsung has authored a number of common tasks into their own apps. Each SmartApp does one function, but can be set up to work with any number of sensors or switches as the input and outputs to that app. For instance, the Smart Lighting app is used to turn on switches and lights when a given sensor is triggered. As well as apps created by Samsung, the SmartApps library hosts selected third party apps that also offer common automation options. Enough theory – let’s work through some practical use cases. Make sure you have at least a motion sensor, and a smart bulb (or smart socket connected to a light). Click on Automation -> SmartApps. Then + Add a SmartApp. Choose SmartThings Recommends, then Smart Lighting (it should be first in the list). Now choose New Lighting Automation. From here, the app will guide you through the process of selecting the relevant lights to control (these can be actual bulbs, or switches, so technically you use this automation to activate any device on a switch – it doesn’t actually need to be a light). Once you’ve selected your lighting fixtures and switches, it’ll default to Turn On. The other essential ingredient of this SmartApp is deciding what trigger we want. Click on the list to view your options, but I’ve selected Motion for now. When you click back, you’ll need to select which Motion sensors this is connected to. Finally, you can choose to turn the lights off after a set period of no motion, which is off by default. I’d recommend always enabling this, unless you want to be manually turning off all your lights. If you click on more options, you can configure advanced conditions, such as only after a certain time, or when you’re at home, or when the light level is lower than a certain value (you’ll another sensor something to determine this). Note, once you’ve added the Smart Lighting SmartApp, you don’t need to add it again. It’ll be listed under your SmartApps, so just tap on it, and create a new automation involving lights or switches. This is true of all SmartApps. Most of my lights are motion linked, but not all of them – and then there’s smart plugs, too, which we don’t tend to think about. The Smart Lighting app can also be used as a simple but immensely useful way to just turn everything off at a specified time. Add a new Smart Lighting automation, select all the lights and switches in your house (careful though, the list also contains things like connected speakers) – then select Turn Off, At a Specified Time. Whether it’s to let you know when someone has been in your secret dungeon or opened the gun cabinet, a simple notification is often all you want, without the hassle of a full blown security system. There’s a SmartApp for that. Click the Automation tab, then +Add a SmartApp. From the Safety and Security menu, select Notify Me When. There’s a variety of triggers available, but you probably want either Motion Here, or Contact Opens. You can set a custom message, and then opt for either the basic push notification (free), or an SMS (possibly not free, depending on your phone plan). Prefer a spoken audio notification? If you have a compatible connected speaker, such as a Sonos device, look under Music and Sounds for Speaker Companion. Choose Play a Notification -> Custom Message, then after selecting which speaker to play on, you’ll be given the same set of trigger choices as the Notify Me When. You’ll probably want to expand More Options and set a minimum time interval, as well as schedule when the notifications should even happen – or restrict them to when you’re at home. You can even run both SmartApps, one as a spoken notification when you’re home, and one as a push notification to your phone when you’re away! If you want a more elaborate security system, Smart Home Monitor, which is free and accessible from your dashboard, may be a better solution than individual Smart Apps. It essentially gives you the same options as the audio notification and text notification automations described above, but adds in the option of activating a siren and recording video from a compatible camera. You can set two different “armed” states – one for when you’re away from home, and one for when you’re home, but want intrusion alerts anyway (such as when you’re sleeping). Smart Home Monitor can also be configured to give smoke and fire alerts, though this isn’t compatible with Nest Protect. Read more about Smart Home Monitor on the official Samsung support site. While the SmartThings System is an incredibly reliable system with a relatively straightforward set up, you may still run into some difficulty if you are trying to maximize its capabilities. If you are running into trouble with your system’s range, want to add an unsupported device, or are interested in trying out an IFTTT integration, these detailed instructions will help you take that next step. Like anything wireless, the SmartThings sensors can suffer from interference, find it difficult to penetrate thick walls, and even in ideal conditions may not be able to reach across your whole house. Thankfully, we have some options to increase the wireless signal range. Zigbee and Z-Wave devices both form a mesh network Are Mesh Nets The Future of The Internet? Are Mesh Nets The Future of The Internet? Mesh nets are powerful decentralized networks that may change the way we use the internet. Here's how they work. Read More , by which we mean devices which plug into a power socket will act as repeaters for your network, expanding coverage area and keeping the network robust. Some people use their smart power sockets only as repeaters, in fact, without ever actually plugging something into them. If you find you’re frequently losing connectivity to one of your sensors and have confirmed it’s not due to a low battery, try placing a smart plug roughly midway between the SmartThings Hub and the troublesome sensor. I have a smart plug in my hallway – not because I need to automate anything, but just because I want it to repeat the wireless sensor signal along to the kitchen. Sensors that run on battery power do not repeat the network signal, and will simply wake up on request or when they need to report some information. The exception to this are some sensors that have a USB power option, though this depends on the model. Both Zigbee and some Wi-Fi networks operate on the 2.4Ghz radio frequencies. Most modern devices are able to operate on 5GHz Wi-Fi. By reducing congestion on the 2.4GHz frequency, you’ll get better SmartThings range. If that’s not an option, consider using a longer Ethernet cable to move your Hub away from your Wi-Fi router. Z-Wave operates at 900MHz, which is less affected by household appliances and doesn’t interfere with existing Wi-Fi networks. If your smart home is still in the early stages, consider using Z-Wave instead of Zigbee. Both are well established protocols, and both are just as expensive! Don’t panic. If it’s a popular device that’s not officially supported, it’s quite likely someone else has written some custom code required to make the device work directly with SmartThings. For instance, the Nest thermostat works with this code. Just bear in mind that this may invalidate the warranty on your smart device (but not your SmartThings Hub – Samsung are quite supportive of third party developers and provide extensive documentation for their API). Just search the SmartThings forum or Google, and you’ll find others in the same boat as you. If you don’t see anything there, you may need to navigate to My Locations first, then click on your hub, then click the My Device Handlers link in the header. This kicked me into the European server location with a slightly different URL. Click Create New Device Handler. Switch to the From Code tab. Paste in your .groovy code. This will typically be from copied from the SmartThings forum or Github. Make Sure you post the full code, not a link to it. If you found it on Github, you maybe need to click the RAW button first to get just the code. Save that, then click the Publish button, and choose For Me, from the drop down list. Once you get the “Device Type published successfully” message, click over to My Devices list from the top menu. Locate your faulty or unsupported device. Click on it to get more details, then click Edit. From the Type drop down list, select the new device profile that you just uploaded – it’ll be the very last one in the list, not in alphabetical order like the rest! Save. Still no luck? You also have the option of using IFTTT Amazing Things You Can Do With Smart Appliances and IFTTT Amazing Things You Can Do With Smart Appliances and IFTTT Each smart appliance comes with a set of instructions. However, thanks to IFTTT, one can streamline many of these processes so that they all become connected to one another. Read More , a cloud service that any smart device worth buying should offer compatibility with. A virtual switch can be used to get around some of the limitations with SmartThings automation. For instance, SmartThings currently doesn’t connect Routines to IFTTT, but it does connect Things. So if you want something on IFTTT to happen when a routine is triggered, you can get around that limitation by creating a “simulated switch”. When the routine is activated, switch the virtual switch to On. Connect the virtual switch to IFTTT, and tell it to do something when activated. Now, triggering the routine will turn on the virtual switch and trigger IFTTT – just in a roundabout way. Click on My Devices. If the list is blank, click on My Locations first, then click on the link to your hub, and it should populate the other lists. Enter a Name for the device – anything you want. Enter a Device Network Id – this must be unique, but otherwise doesn’t matter. I just used the name of my device, in all caps and one word. Zigbee Id should be left blank. Select Simulated Switch from the dropdown list. Select your location, probably Home. Hub should be your hub name. Note that if you’ve already set up IFTTT, and you add a sensor or switch to SmartThings, it won’t be accessible by IFTTT until you specifically add it to the list of authorized Things. Visit your SmartThings applet settings page to access the list of checkboxes again. If-This-Then-That isn’t the fastest or most reliable service around, but it’s sometimes the only choice to automate or connect services and devices that are otherwise incompatible with each other. We’ve written a beginner’s guide to IFTTT The Ultimate IFTTT Guide: Use the Web's Most Powerful Tool Like a Pro The Ultimate IFTTT Guide: Use the Web's Most Powerful Tool Like a Pro If This Then That, also known as IFTTT is a free web-based service to get your apps and devices working together. Not sure how to build your applet? Follow along with this guide. Read More , if you’re not familiar. 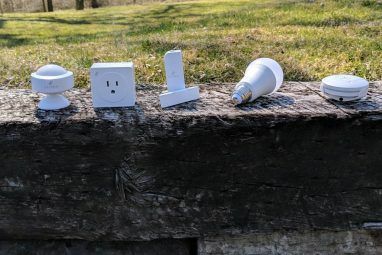 In my case, I turned to IFTTT so I could control my Yeelight strips Xiaomi Yeelight Smart Wi-Fi Light Strip Review Xiaomi Yeelight Smart Wi-Fi Light Strip Review When it comes to connected lights, Xiaomi may not be the first brand you think of, but perhaps it should be. Read More from within SmartThings. Start by heading over the IFTTT SmartThings integration page. You’ll need to click connect to run through the initial authorization, in which you select devices you want to be accessible through IFTTT. If you ever add a device, you’ll need to click Edit Connection, reauthorize, and tick the box to enable that device. To trigger an IFTTT action when something in SmartThings changes, we need to create a new applet. This is how I made my simulated switch turn on all my office lights, including some that are unsupported. Click My Applets -> New Applet. On the screen that says If This Then That, click the word This. Type SmartThings into the search box, and click on the result. On the Choose Trigger screen, select your desired trigger – in my case, I chose Switched On. 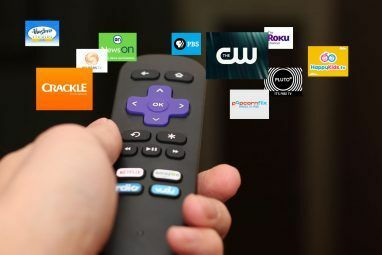 Next, click the word That to choose the channel to trigger. I chose Yeelight. Instructions will vary at this point depending on which channel you chose. In my case, I chose the action to Turn On a light, then selected the right light. Disable the setting to Receive notification when this applet runs, because that would get really annoying, really fast. Repeat the process as many times as you want for additional lights. Repeat the process again for the OFF state, otherwise your lights will just stay on! The process is quite tedious, but you only need to do this for unsupported devices (well, twice for each device, once for on and once for off). You can then create a routine that turns on or off the compatible Things, as well as the virtual switch you’re using to trigger IFTTT. For example: I have a routine called On Air, as well as a virtual switch called the same. Activating the On Air routine turns on a couple of office Hue bulbs, and the virtual switch, which then automatically turns on the Yeelight bulbs using IFTTT applets. I use another routine, called Off Air, to turn everything off again. We hope you’ve got a broad overview of the SmartThings system, as well as some ideas for common automations or issues. I must admit, I’m really impressed with the flexibility of SmartThings. I was expecting to find a very closed, locked down system – like Apple HomeKit. But actually, you can delve as deep as you like. With an open API, a developer dashboard, custom device drivers and more, it offers something for all levels. Now it’s over to you: what are your thoughts on the SmartThings ecosystem? Have you found some great automations in the SmartApp store? Let us know how you’re using your system! Explore more about: Home Automation, Longform Guide, Setup Guide, Smart Sensor, SmartThings. What a great article! Thank you!!!! I'm in Canada. Just slowly getting into this smart home automation thingi. Got my Smart Thing Hub from the US and a Motion Sensor a week ago. Picked up a Schlage Keyless Lock too. Got everything hooked up and even had Alexa pair up to my lock! Too bad, there isnt a setting where I can have my lock lock itself after 5mins of closing the door. My motion sensor is fantastic - and works really well - get a text when motion is detected during my 'On' hours... too bad, I can't add "noise alarm" on my phone to alert me as opposed to a text - which is not instant. Planning on getting some switches to monitor a couple of lights but still researching on that... Also planning on adding a smart thermostat in the next 2 months. (all these are very expensive here in Canada as opposed to the US). Now to find a good hour or 2 to go through this detailed article and see how I can improve my home/knowledge. Thanks again! Thanks for the excellent guide. I was looking for something like since I am consider Smarthings Hub. Really, genius? I've been an IT administrator for 20 years. Who doesn't know what they're talking about now, huh? None of those are related to Samsung SmartThings. @James Bruce: No, they're rather broad. Would you like some more targeted criticism of SmartThings, then? They're just as bad as **any** other IoT devices. Oh no! It's even worse than I thought!!! You posted 7 links to the exact same hack in mid-2016, which was patched long ago, and the SmartApp system has been overhauled since then. I've never even used the version of the software it talks about. Yes, things are vulnerable when they're first developed, and then over time they get stronger. That's the same for literally any service or software out there. That said, I don't put front door locks onto a smart system, because I'm not an idiot. If my smart home system is hacked, the worst they'll do is wake me up by flashing the bedroom lights on and off, so IoT hacks are not a particularly huge worry for me. You're using a Yahoo email address I see. I guess you already know how many times they've been hacked!